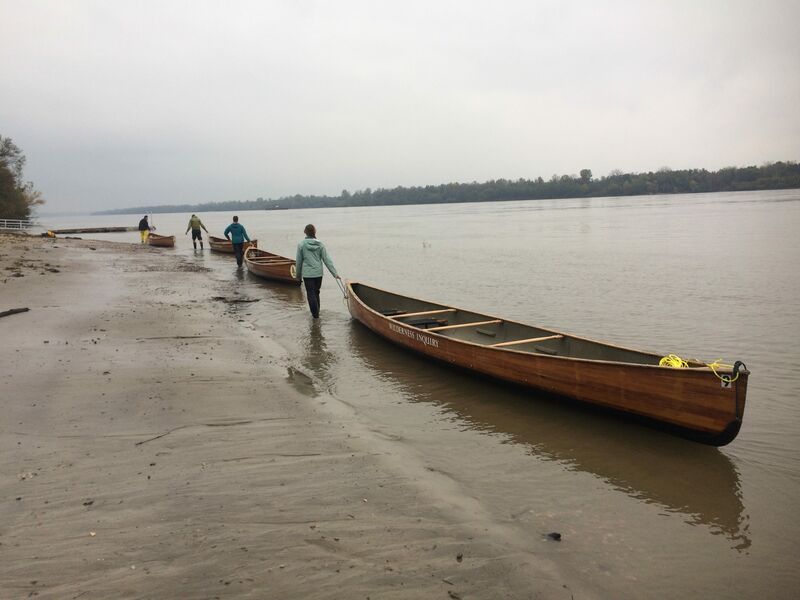 In fall 2018, the second offering of Augsburg University’s River Semester program spent 100 days traveling down the Mississippi River from Minneapolis to Memphis while offering a full semester of college courses in a range of disciplines. The program is itself an experiment in low-carbon high-impact education, with the students on most days consuming a small fraction of the power and emitting almost no carbon emissions, while immersed in multidisciplinary inquiry of the Mississippi River, its watershed, and river communities. The program takes seriously the need for a radical change in our socio-economy system to respond to the global challenge of climate change. It seeks an authenticity not typically experienced in higher education, where most institutions may study climate change, but rarely make the significant changes needed to address climate change in their daily practices. 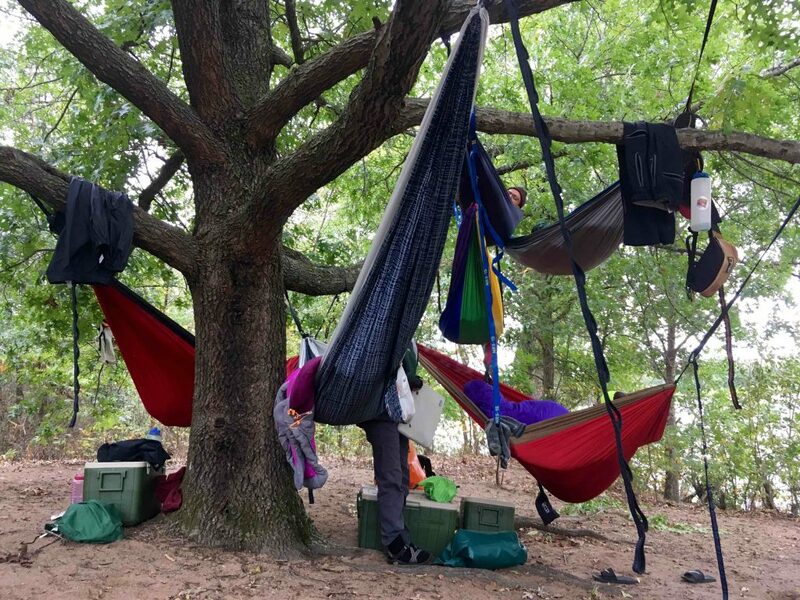 The River Semester attempts to lead by example and model for students what a post-carbon society might look like, by living a very low-carbon life. On the river, the transportation and labor is human-powered, with attendant benefits in physical fitness, mental health, and a sense of independence. As of 2018, the River Semester is now a regular part of the programming offered by Augsburg’s Center for Global Education and Experience (CGEE). 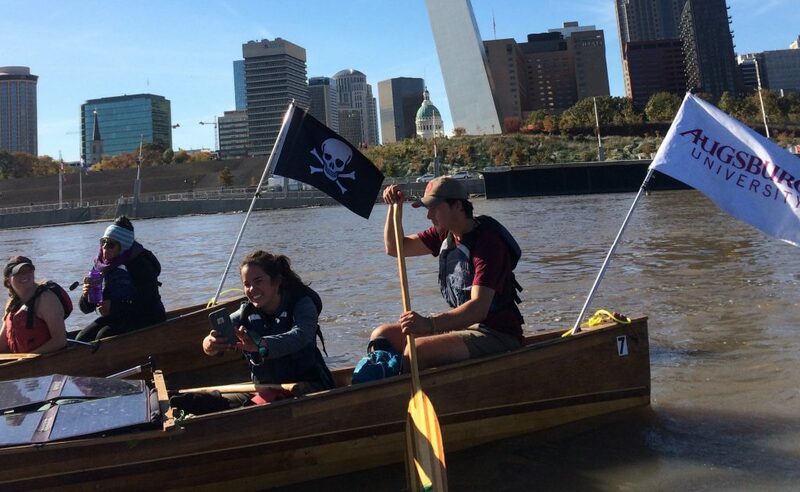 River Semester will run annually in the Fall, allowing both Augsburg students and students from CGEE’s partner institutions to enroll on the program. Students that are interested can review the program brochure and online application at our website. 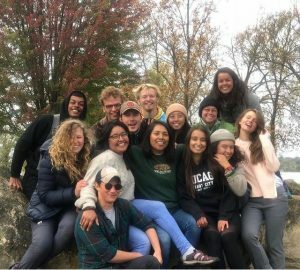 In contrast to earlier expeditions, the 2018 cohort of students was a diverse group, consisting of 15 undergraduate students, two field staff/supplemental instructors, and two faculty (one in Political Science/Environmental Studies and the other in Biology). The group included seven students of color (3 Latina, 1 African-American, 2 American Indian, and 1 Asian), one transgender, and three gender non-conforming students. All but two students were from Augsburg University; one was from the University of Minnesota-Twin Cities, and another from Dickinson College. Reflecting this diversity, discussions and student interests were focused more on issues of race, equity, and environmental justice. This was reflected in the independent study projects chosen by the students and the site visits and discussion topics taken up by the group. The diversity likewise provided significant opportunities for learning from and about the diverse perspectives and life experiences of the group. Participants were all made more aware of the various ways in which race, class, and gender can present barriers to engagement with environmental issues and outdoor education, and the ways that these barriers can be overcome. Those discussions informed some of the decisions around revising the itinerary and program design. Drawing on these discussions and lessons, in 2019 the program will engage in more initial orientation to raise, and help address, the concerns of those coming from different cultural backgrounds and life experiences. Given the importance and interest in these issues, there will also be more of a focus on race relations, equity, and environmental justice in the readings, courses, and discussion topics. Students came from a range of majors and programs, and elected to take a wide variety of the courses available. As such, some amount of flexibility and virtual supervision was required for certain projects. The 2019 program will see a simplified set of course offerings and a streamlined curriculum and set of readings to allow the whole group to engage in that learning and discussion together. holding numerous group meetings and supported and advocated for and worked with each other in a way that was quite remarkable and which reflected their care for each other, and ability to work through differences in a way that bodes well for their life in community in the days ahead. In sum, this group of students bonded and shared an experience that they will almost certainly take with them, in deep and profound ways, for the rest of their lives.